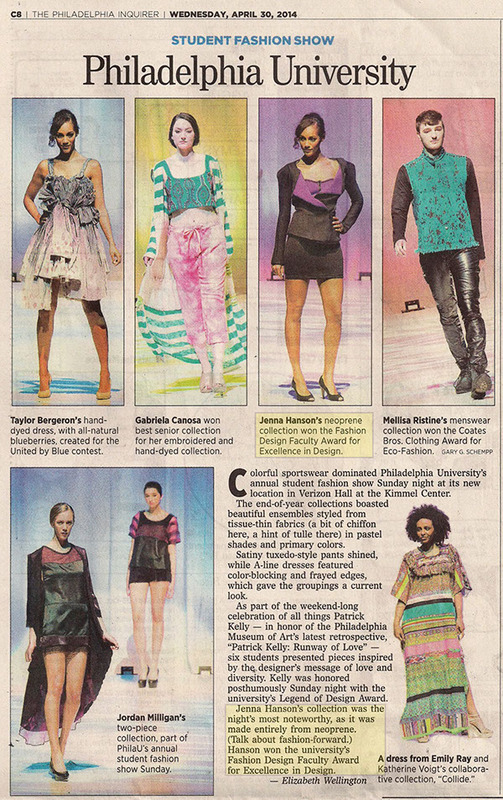 The collection onstage at the annual Philadelphia University Fashion Show at the Kimmel Center on Sunday May 27th. Detailed pictures of each look. 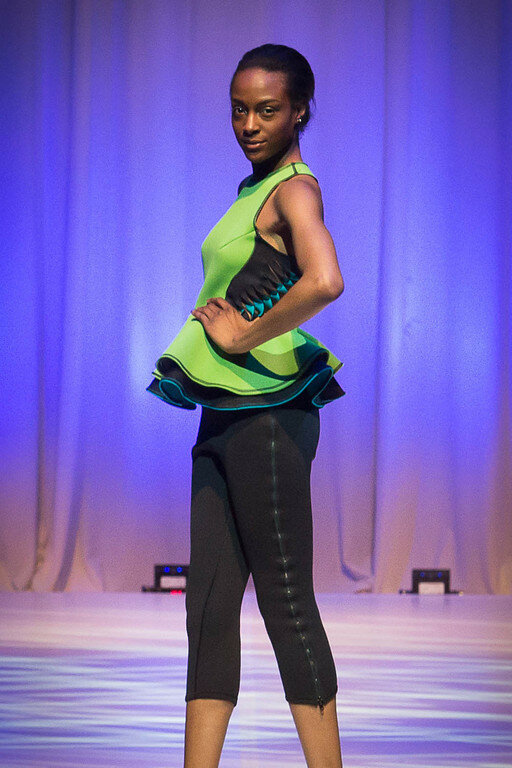 My Cruise/Resort 2014 Collection is made solely of Neoprene, a rubber material laminated with Nylon. The purpose of this waterproof performance material is to keep watersport athletes warm in cool weather. The Neoprene in this collection is used and constructed in a non-conventional way, inspired by dimension, geometry, and architectonic structure. 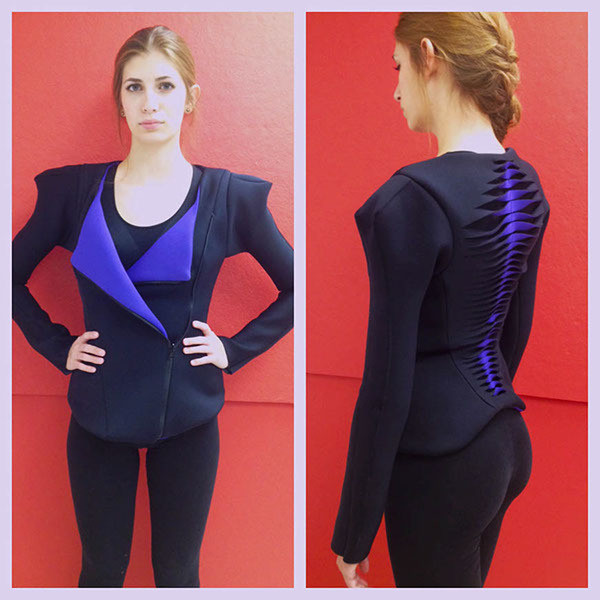 Bold style lines and pops of color are highlighted in the garments, and Three Dimensional techniques are integrated in the designs, such as the gill-like effect. 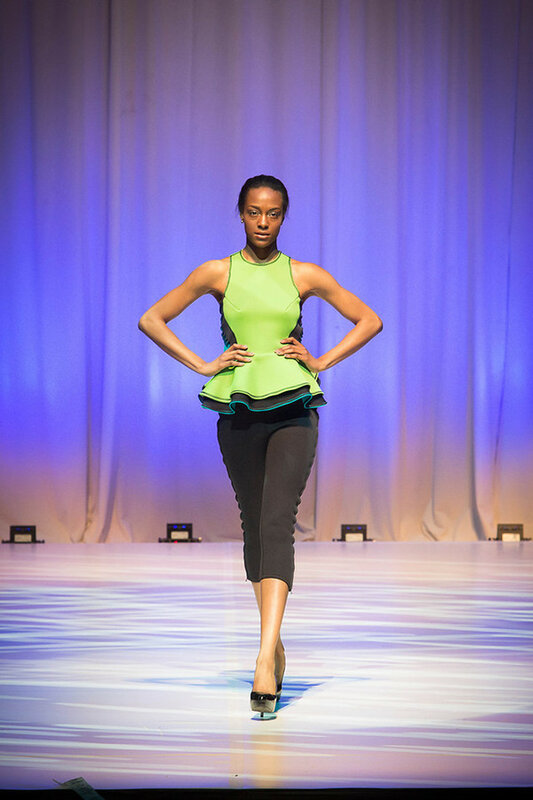 Body contouring and structured geometric shapes are used to accentuate and complement the curves of the body, giving the wearer an engineered style that is both sporty and sophisticated.